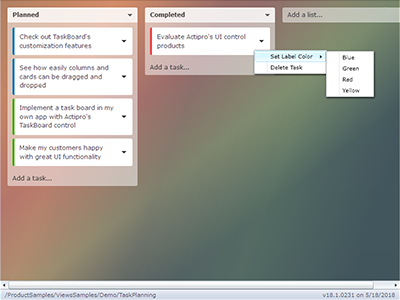 Download fully-functional 30-day trials of our UI control products to discover how their innovative features can improve your application's user interface. We also offer an icons sampler download and a Code Writer app for Windows 10. 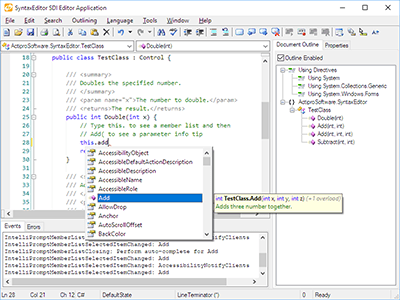 Free evaluation includes all of Actipro's WPF controls and related SyntaxEditor add‑ons. Free evaluation includes all of Actipro's WinForms controls and related SyntaxEditor add‑ons. 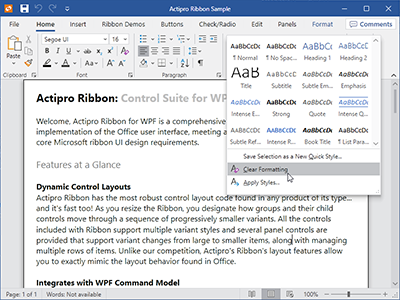 Free evaluation includes all of Actipro's UWP controls and related SyntaxEditor add‑ons. Free evaluation includes all of Actipro's Silverlight controls and related SyntaxEditor add‑ons. 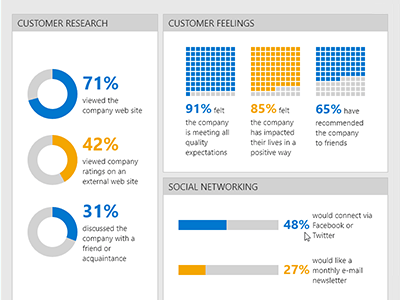 Free download includes a selection of sample icons to show sizes and quality. 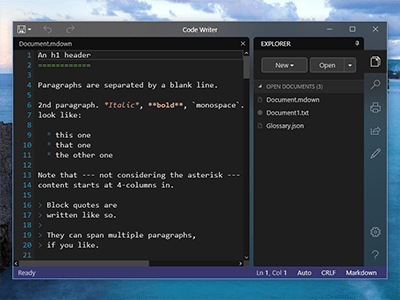 A free advanced text and code editor app with syntax highlighting for Windows 10.